The 1st Marine Division Crosses the Han River, Korea 1950. 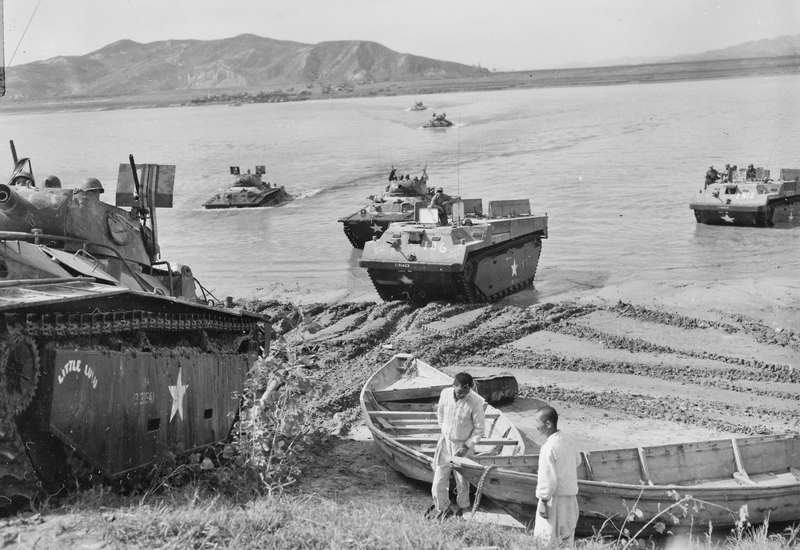 Elements of the 1st Marine Division Cross the Han River near Haengju on September 21, 1950 during the advance from Inchon. Korean War.